Do you talk to yourself when crafting? I thought this craft joke was a bit of fun 🙂 I certainly talk to myself but not sure I would call myself an expert just yet. This week’s Top 10 in Craft is all about Crafts for Adults and there are so many wonderful projects to enjoy! The Persian Tile Blanket designed by Jane Crowfoot is stunning. A project I’d love to do in the future. Do you love succulents? The vertical wall paper craft planter is adorable. Having learnt how to knit without a cable needle, I was keen to try out another pattern that included cables. This time I learnt how to knit a 3 stitch left crossing cable. The Natte Dishcloth by designer Joyce Fassbender available for free at Knitpicks creates a small and pretty cloth. I loved the color of the yarn used in the photo on Knitpicks. Fortunately I was able to find a very similar color. Having only 34 stitches on the needles meant it knitted up quickly. My next project is the Nordic Dishcloth by designer Allison Griffith, a free pattern published on Knitpicks. Knitpicks has 40% off all books, you are bound to find one to add to your library. Create your own version of this beautiful craft with the help of Amanda Formaro from Crafts by Amanda. This is such a lovely handmade project made possible by the creative mind of Jane Crowfoot from Ravelry. They are so colorful and creative. Take a look at the video for more here Laura Eccleston from HappyBerry Crochet. Heather from Happiest Camper has some fabulous suggestions for this gorgeous craft. Check out the complete guide. Find all the details for this fabulous craft project Jill from Create Craft Love here. All the details for this crafty idea Sarah from Repeat Crafter Me can be found in her post. To create this craft project Camille Gabel from Growing Up Gabel follow the instructions she has given. My mother-in-law always makes these for friends and family before Christmas! Bet you can’t wait to get start making your own version of this craft. Plenty of inspiration to be found here Isabell Kraemer from Ravelry. Don’t you just love Pineapples! Such a great craft for creating night lights with a fruity theme. The instructions to follow Elsie and Emma from A Beautiful Mess are here. Super fun to make Patti from Hearth and Vine. All the details to create your own are here. Editor’s note: Our readers have said, in their free time, they love going back over previous editions of our roundups. – So we’ve kept the crafty goodness below from this time last year. You will be super excited to create this beautiful craft Lana from Lana Red Studio. Kelli Nina Perkins from Kelli Nina Perkins has created clear and easy-to-understand instructions to help you make this craft project. Just looking at this idea makes me want to get out my crafting supplies! Find the inspiration Jamielyn from I Heart Nap Time here. Stephanie Rose from Garden Therapy shares their experience and tips for how to make this craft project. Follow her clear and easy to understand instructions to make your own. Doing this project is a wonderful idea, and the results look fantastic! Lori from The Stonybrook House shares the information here. To create this craft project follow the instructions Staci from Undercover Tourist. A project that may seem like a labor of love, but it will all pay off in the end! Read all the details here Elsie and Emma from A Beautiful Mess. Simon Raczka from Handimania steps you through the techniques used in this brilliant project. Take a look at the tutorial. A really wonderful idea, this craft Leanne from Organize and Decorate Everything makes use of some great materials. Plus, the results look great. Take a look at the instructions to make it yourself. Mallory from Classy Clutter gives great step by step instructions on how to make this gorgeous craft. Follow the tutorial outlined in her post. Decorate your home with this fabulous idea. Follow the tutorial Misty Spinney from Brit + Co.
Amanda Formaro from Crafts by Amanda makes this look very easy! An expert at what she does. Some lovely ideas for a simple but effective craft. KC from The Real thing with the Coake Family steps you through how to put it all together. Follow the step by step instructions that are easy to understand. What an incredible idea, I definitely want to do this one when I have time. Erin Schlosser from Schlosser Designs steps you through her crafty idea. Rebecca Farrant from Infarrantly Creative provides all the details for this crafty project. This would make a wonderful handmade project. Sam Franklin from Kenarry has done an excellent job, find the complete guide here. Angela from Blue i Style has created this beautiful project for you to follow. Check out the guide on how to make it yourself. A lot of time and effort has been put into this project, following the steps should be a breeze. Check out the guide Melissa from The Happier Homemaker here. 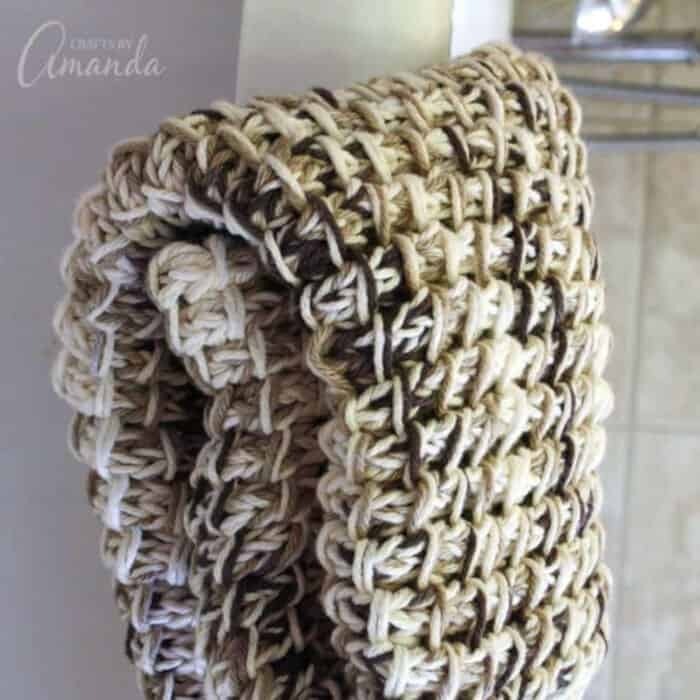 Amanda Formaro from Crafts by Amanda has some excellent crafty ideas, which you should try out. Find all the details for this fabulous craft project here Katie from The Crafty Blog Stalker. Bring some easy and amazing crafty goodness into your life with craft Anna from Celebrating a Simple Life. Melissa from Polkadot Chair steps you through the requirements to make these very creative ideas. This craft project would be super fun to make. Thanks to Sam Franklin from Kenarry. What fun it will be to create your own version of this craft project with the expert assistance of Lia Griffith from Lia Griffith. What a gorgeous handmade project made possible by the creativity of Tisha from Sew Mama Sew. Alyssa from Good and Simple has some excellent suggestions for this crafty idea. Find all the details, including materials and easy to understand steps for this great craft project Jamie from knitosophy designs here. What you need for this wonderful craft project Amanda Formaro from Crafts by Amanda are outlined in her post. Creating this fun craft project Kelly Leigh from Kelly Leigh Creates and follow the easy to follow instructions she has given. You are sure to be excited to make your own version of this inspiring craft. The instructions to follow Vickie Howell from Vickie Howell are here. Super fun to make craft idea Claudia González from Brown Paper Bag Follow the steps to create your own here. Your creativity will be flowing when you create this beautiful craft Jessica from Mama In A Stitch. Ariel Garneau from Brit + Co has detailed clear and easy-to-understand instructions to help you make this craft project. Looking at this gorgeous image makes me want to get out my crafting supplies! Find the inspiration Rachel from Lines Across here. The Team at Origami Mommy from Origami Mommy shares their knowledge and helpful tips on how to make this craft project. Doing this project is a great idea, and the results look fantastic! Maria from See That There shares the information here. I am sure you will enjoy making this craft project. Follow the step by step instructions Jen Goode from 100 Directions. Get your crafting supplies ready and create your own version of this lovely craft. Read all the details here Lydia from Lydi Out Loud. Alicia from Sew Mama Sew steps you through how to make this funtastic project. A superb idea, this craft Laura from Lauras Paper Craft Ideas makes use of some great materials. Take a look at the instructions to get busy crafting. Suzy Myers from Suzys Artsy-Craftsy Sitcom gives great tips and tricks on how to make this fun craft. People will be impressed with your talents when you create this fabulous craft. Follow the tutorial Amber Oliver from Amber Oliver. Amanda Formaro from Crafts by Amanda makes this look easy and fun to do! Get the crafty goodness here. This is a simple but effective craft. Kitty and Jennifer from Running With Sisters steps you through how to put it all together. Follow all the instructions that are easy to understand. Patti from Hearth and Vine steps you through her crafty idea. Mark Montano from Make Your Mark provides all the details, including materials and how-to tips for this crafty project. Renee Hanlon from Rustic Crafts and Chic Decor has created this sensational craft project for you to follow. Following the steps should be easy. Check out the guide Kate from Centsational Style here. Such a great handmade project. Menucha from Moms and Crafters has such talent, find the complete guide here. Rebecca Farrant from Infarrantly Creative has created this awesome project for you to follow. Ginnie from Love Stitched has some fab crafty ideas, which you can try out. Check out all the goodness in the guide. Looking at the image above, no doubt makes you want to get crafting! Find all you need here Ginnie from Hello Little Home. Bring some amazing and satisfying crafty goodness into your life with craft Jenn from Clean and Scentsible. Amanda Formaro from Crafts by Amanda steps you through the instructions and provides ideas for materials to make this very creative idea. Hope you found a fabulous project to try out. Please do me and others a favor, and share this post on your social networks. I’m sure plenty of other people would love to see some of these crafts for adults.